Like many people, I surf around Facebook, mainly to keep track of family and friends, but occasionally, something pops up that's stupid, just plain stupid, and I'm amazed that normally rational people will pass it along like it's gospel. Just one example that I've seen several times in the last couple of days. 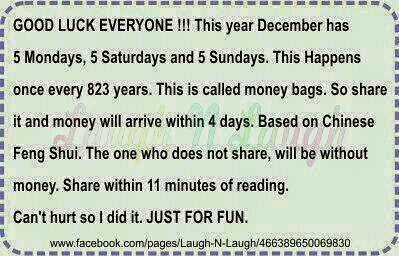 Oh, yeah, ancient Chinese Feng Shui proverb, and if you share you get money. Sure you will. One problem, if you look at a calendar, you'll see that December 2014 has only 4 Saturdays and 4 Sundays. What the December, 2014 Calendar does have is 5 Mondays, 5 Tuesdays, and 5 Wednesdays. Of course, most people know that every month with 31 days has 5-somethings in it, because a week has 7 days, so we've got some left over at the end of the month. Before you share something on Facebook, take a minute and do a little investigation and make sure that you're not being an idiot. Geez! Thanksgiving is past and the tree is trimmed. Christmas is upon us, and I intend this year to spend more time on the spiritual, traditional Christmas and less on the glitter. Heading to church shortly. Everyone have a wonderful Sunday. Everybody is kind of lazy after the Thanksgiving weekend, and the dog is no different. I can just barely get him to go outside, all he wants to do is lay around after the big meal and all the family that's been at the house. Even the dawg had company this weekend, here's a picture of two old dogs. The smaller one is Pedro, my daughter's dog. We were trying to figure how old he is, and we think that he's about dight years old. The larger dawg will remain anonymous. 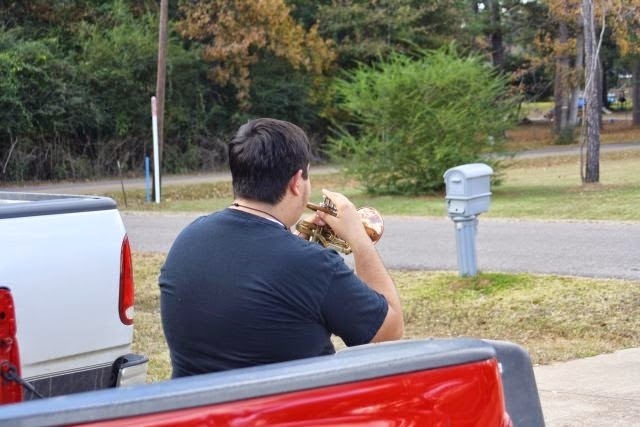 Some of the grandkids came over today, and grandson Michael took out my high-school cornet and serenaded the neighborhood with Christmas carols. Michael is an accomplished brass musician who is going to college next year on a music scholarship. He's a heck of a lot better trumpet player than I ever was, and his main instrument is the trombone. 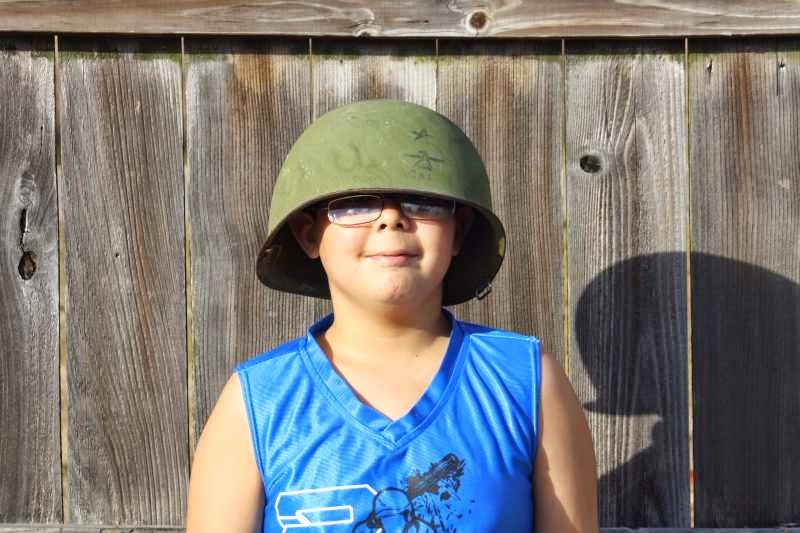 His brother, Zachary, found an old steel pot helmet and was clowning around in it. It's a good Saturday afternoon around PawPaw's house. A feel good piece from 1985, we have The Forester Sisters singing I Fell In Love Again Last Night. Catchy little tune. You can tell it's from the '80s, look at that big hair. "But we ate turkey yesterday!" "I know, but there's a hole lot of good left in that bird, and we're not letting it go to waste." "How do you make it? "Ain't nothing to it, but first, you pick all the meat off of that leftover turkey carcass, then you put the bones and skin into a big pot with water. Boil it for an hour, to make stock. That gets all that smoky goodness out of the bones and skin. Then, drain the liquid, Then pick that carcass again. You'll find some more meat on it, I promise you." Then, you make a roux, and make that gumbo just like every other one you've ever made. Don't forget to make a pot of rice. Thanksgiving is a holiday that's much misunderstood, so it's helpful to reflect on what actually happened during what we consider to be the first Thanksgiving. Ben Shapiro offers a quick-and-dirty history of that event, one that you might not have heard. Turkey might or might not have been on that first feast table, but regardless, it's a staple of our tradition now. PawPaw and Milady are hosting our family celebration this year, and in observance of the proper traditions, turkey will be on the menu, along with ham, dressing, yams, and all the other goodies. We're cooking the turkey on the smoker this year. 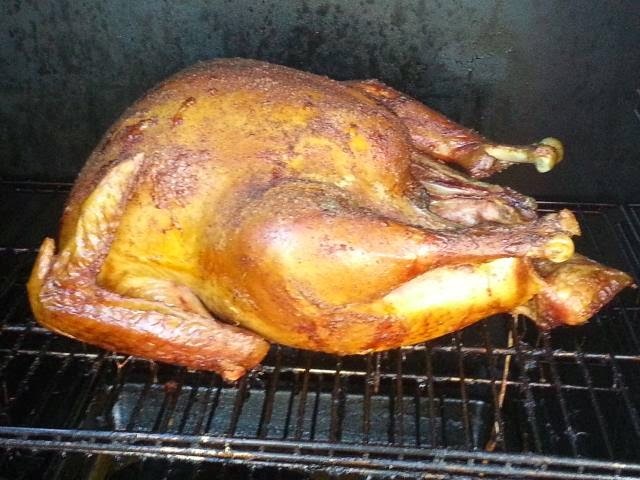 Heretofore I've bought a smoked turkey from a local high school who smokes several hundred as a fund raiser. 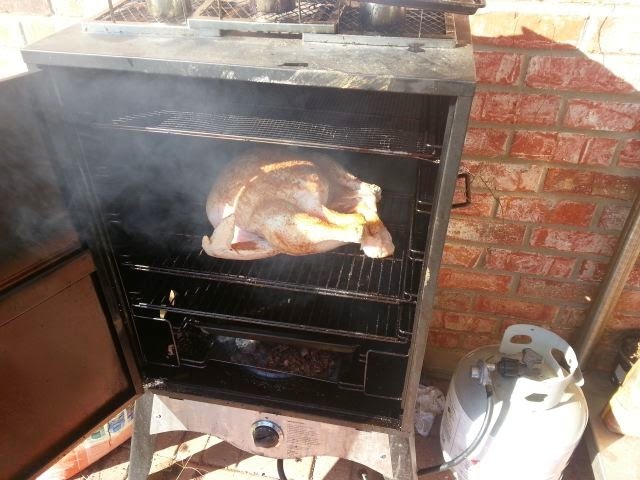 I didn't order a turkey this year, so I'm forced to smoke my own, and on Wednesday I put that bird into my smoke box. Nothing fancy, just let him thaw, pat dry, season with oil and Tony's seasoning. The pecan shells in the smoke will give it lots of flavor. He's smoked for eight hours on Wednesday and he's on the smoker now for finishing. I'll try to get a picture before he's served. After six hours in the smoker. It looks like it will be just fine. Today we turn to a catchy tune by Australian artist Jamie O'Neal in 2000. It hit #1 on the Billboard charts in February 2001. I've watched this case unfold since August, and I haven't talked about it because it's too fresh. But, now the Grand Jury has reported and found that the police officer acted in self-defense and returned a No True Bill. The criminal case is now over at the state level. In my 33 years on police work, I've watched a bunch of cases work themselves through the system, and that's what we have, a system that generally tends to sort out the truth from the fiction. It's imperfect as most systems are, but it's the one we have and we try to constantly improve it. Some folks are unhappy (disappointed..outraged) at the decision of the Grand Jury, but I remind everyone that the grand jury is a cornerstone of our system of justice. It's been said that a zealous prosecutor can go to a Grand Jury and indict a ham sandwich, but I have found that generally, when given all the information in a case, a Grand Jury will generally reach the right conclusion. Some folks will be relieved and some folks will be disappointed, but that's the system we have, and it's generally a good system. 50 years after Watts, and 25 since Watts II, and you still can't find a supermarket anywhere in the 'hood, just little overpriced mom-and-pop Asian-owned Stop-N-Robs. Burning down your ow neighborhood is idiotic. It destroys the value of the area, it costs jobs for people who work in the area, and it engenders a sense of helplessness and hopelessness. It destroys people's lives who had nothing to do with the initial event. I'm just one small voice, trying to make sense of the nonsensical, but burning Ferguson made no sense, whether it was the national chain auto parts store, or the small, locally owned bakery who's owner lives around the corner. Those people trying to excuse the behavior of that small group of arsonists don't make any sense either. Both the arsonists and their apologists deserve nothing but scorn. Released in October 1988, this song stayed on the US and Canada country charts for 14 weeks. It got to number one on both charts. Not coincidentally, it's great slow-dance music and if I'm in a redneck bar and it comes up on the playlist, you can be sure the dance floor will be full. Earl Thomas Conley's What I'd Say. That little skinning axe is neat! I need to find one of those... I've got a hatchet and a full sized axe, but that's it. : You don't see many of these any more, because they are difficult to make properly. 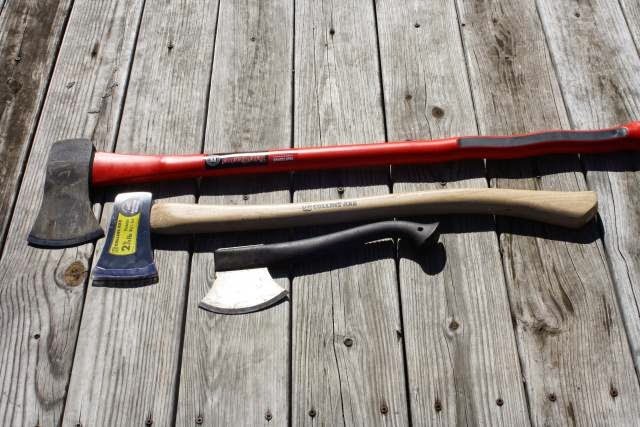 The hammer head has to be hardened and the axe blade has to be a little bit softer. 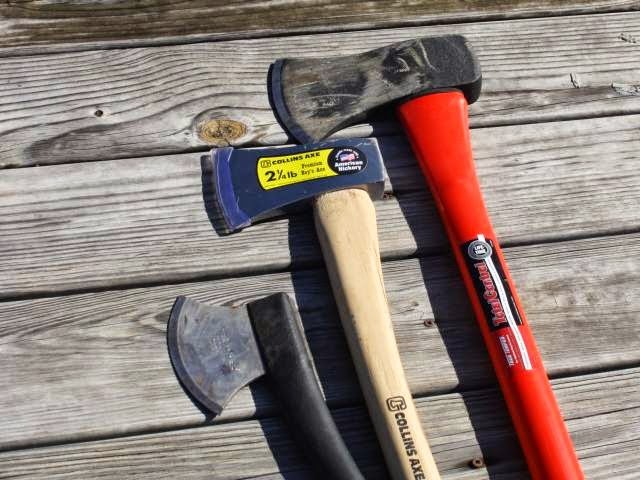 It's hard to make a true hatchet, so manufacturers have pretty much dropped them for the more ubiquitous hand axe, which looks just like a short axe. Hand axes are generally about 18" long and have a 1.5 to 1.75 pound head. The example above is made by Collins and is available for under $20.00. Of course, every culture has a hand axe, as they are very versatile tools. 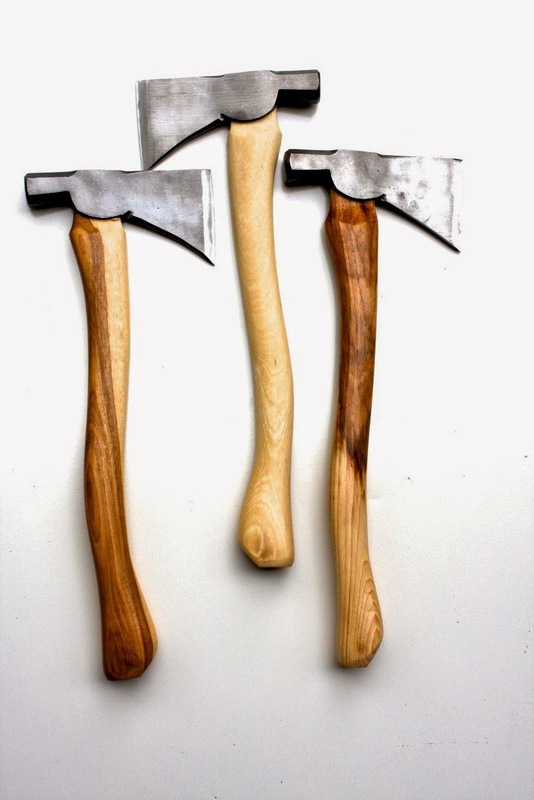 One in particular comes up from time to time, the broadaxe, which is often though to be a tool of war, but was really designed for hewing logs, making joints, and making staves. Most broadaxes are normally forged with a flat side and a beveled side, so that the artisan could control the way the axe cut wood. Below is an example of a broadaxe. That's a very nice example of an old broadaxe. It looks like it has a new handle, which is fairly common on using axes. My old grandad had an axe that he claimed was original, but it had been through four handles and two heads. Yet, he claimed it was the same axe. I think he was pulling my leg. Of course, when we're talking about hand axes, we can also talk about the ancient stone axes found all over the world, the tomahawks, the asian axes, indeed, there are thousands of variations. Like I said earlier, I'm no expert on axes, but I have a working knowledge, and they're a fascinating study. Everyone, at one time or another, needs a good axe, and while I'm no expert, I have a certain working knowledge of axes, sledges, and mauls. Last month I was looking for my axe and was embarrassed to realize that it had gotten away from me. Couldn't find it anywhere, so on my next trip to Lowe's I picked up a True Temper felling axe, a standard 3.5 lb axe with a 36"fiberglass handle. This morning, I was browsing through the local hardware store and saw another axe that caught my eye. Back in the day, we called it a half-axe. Nowadays they're called a boy's axe, but it's the same tool. Lighter at 2.25 lbs, it has a 28 inch handle, and is very handy for chores that don't require a full axe. Of course, I walked into the store looking for a ball of string and came out with an axe. A good hardware store is like that. This particular example is made by Collins. While setting up for this picture, I remembered my skinning axe that lives under the seat of the pickup truck, so I added it to the mix. Mine is marked as Norwark, but lots of companies make them. It's really more of a large skinning blade on a synthetic handle, that little axe isn't much good for camp chores, but it is dandy for skinning whitetail deer or larger animals. That long, curved edge works wonders when you hold the tool just below the head and roll your wrist as you separate the skin from the animal. I don't live in the woods any more, but it helps to have an axe around the homestead. Like spoons, one is never enough, and to have a couple in varying sizes is handy indeed. An old favorite, from 2009. We begin Monday morning with this bit of pleasing news. It seems that one goblin in New Orleans was robbing people on the street and got more than he asked for. According to NOPD, the alleged armed robber, 22-year-old Samuel Sims, approached his intended victim on the 3000 block of Bruxelles Street at 5:49 p.m. and demanded his belongings. Police say the victim gave Sims his cell phone, but the alleged robber wanted more. Sims got his cell phone, but that wasn't enough. So he demanded more. The victim then pulled out a gun and shot Sims in the chest leading to his arrest. Sims wanted more. How about a bullet in your chest? Sims is in the hospital by all accounts and the victim is cooperating with the investigation. That should be a fairly short police report. Hopefully in the next few months, Sims will recover enough to help with the planting season at our state penitentiary. There, he'll learn a useful trade, picking peas for the warden. Taken yesterday afternoon, this picture perfectly encapsulates my desires on a Sunday afternoon. Sleeping it off. Every dog deserves a good nap on Sunday afternoon. Installing a daffodil bed at our family's nursing home, Regency House. We started building the bed this morning about 9:00. 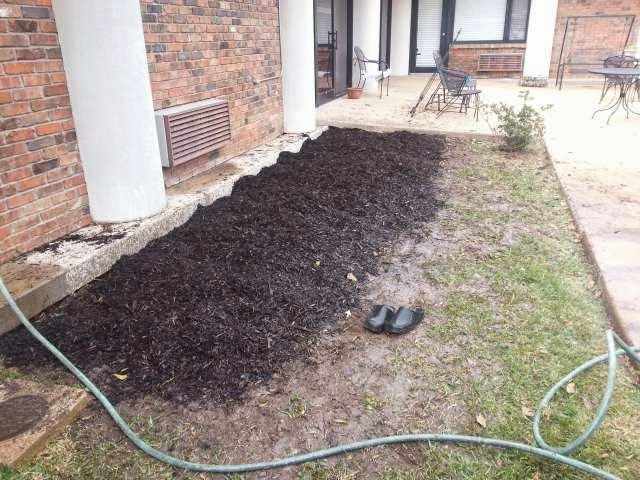 Triple-tilled the ground, raked out all the St.Augustine grass, found some old bricks, then aded 500 l bs of Scott's Black Mulch.Planted 100 daffodil bulbs, then topped it with another 500 lbs of that same black mulch. That grassy area between the patio and the daffodil bed will become another sidewalk that connects two walkways, so that the residents can have a walking path for exercise and recreation. The daffodils are now bedded in for the winter and will be beautiful in the spring. Courtesy of Day by Day cartoons. We wanted you to be the first to know that the critical next phase of the Depravity Standard project is now online at www.depravitystandard.org, and we are writing to ask you to please sign up, and to once again have your say in shaping the final Depravity Standard. Heh! They want me to participate in a study on depravity. I guess I'll click over and see what that is all about. Who knows what depravity I might uncover. Naah, I've had a couple of drinks, and I think I'll pass. Yesterday, our senior senator embarked on a Quixotic endeavor to debate the Keystone XL pipeline in the US Senate. The vote was simply for cloture, to open the measure for debate. She needed 60 votes and failed in her attempt, derailed by members (lots of them) in her own party. At the end of the attempt, only 13 Democratic senators voted with her. The Washington Post is calling it her final indignity, but I feel that they're being premature. The list of senators who voted against her is long, to include the current leadership. It was a stinging rebuke, and put the lie to her campaign promise; that her leadership and seniority in the Senate are vital to Louisiana. The other senators and the leadership showed that she has no clout in the Senate, not even enough to have other senators support her in a symbolic gesture. The final indignity will occur if Senator Landrieu continues in her quest for re-election and it won't be the indignity of her final defeat, it will be the indignity that she foists upon the people of Louisiana by continuing the race. She gathered a paltry 42 percent of the vote, probably all that she'll gather in the runoff. The other senators in the Senate have revealed her to be a sham, without clout or influence within the party. She has nothing left to offer Louisiana. It's been a good run, but it's over. To paraphrase Edwin Edwards, the only way Cassidy can lose this race is if he's found in bed with a live boy or a dead girl. It's inevitable and everybody sees it but Ladrieu. If she knew Louisiana, she'd know that she is done. Mary Landrieu should follow the example of that same Edwin Edwards, and concede, as Edwards did in 1987 when he saw that he couldn't command a majority. He conceded gracefully and let Buddy Roemer struggle as a minority governor. This is Mary's option now, to continue to struggle against the inevitable or to bow out gracefully. She won't do that, though. She has neither the grace nor the political acumen for that. No, we'll have to beat her, and I'll be happy to pull the lever against her in December. It looks like Taurus has come out with a new pistol, The Curve, designed for concealed carry. Not your standard .380, it has an integrated light and laser, and it's curved to fit the contour of your body. Interesting design, it comes with a belt clip and it looks to be as smooth as a bar of soap. No de-horning necessary on this rig. I'm told that the MSRP is about $400.00, with the street price being somewhat under that. I'm also told that they are going to have a version bent the other direction, for southpaws. interesting concept for a carry firearm. The US Senate is looking more and more like Kabuki theater, what with my senator, Mary (hack, spit) Landrieu trying to drum up support today for the Keystone pipeline. Hot Air reports that Landrieu has lots of Republican support, indeed, every Republican senator is expected to vote for the measure, but Mary is having trouble garnering support from her own party. Desperate for something positive to put before Louisiana voters prior to her Senate run-off, Democratic Senator Mary Landrieu is looking for an apparently illusive 60th Senate vote – from her Democratic colleagues. You'd think that with Landrieu in trouble, in the fight of her life politically, that her colleagues in the Senate would come to her rescue and give her the few votes she needs to score a political victory. You'd be wrong. As I type this it appears that she's got almost enough votes, but not enough to push her over the margin. Mary based her campaign on her seniority and her clout in the Senate. If she can't get at least half of her caucus to join her, voters in Louisiana will be forced to ask themselves just how much clout she has in the Senate. And, in the end, it's all Kabuki theater, because Obama will veto it, if it ever makes it to his desk. 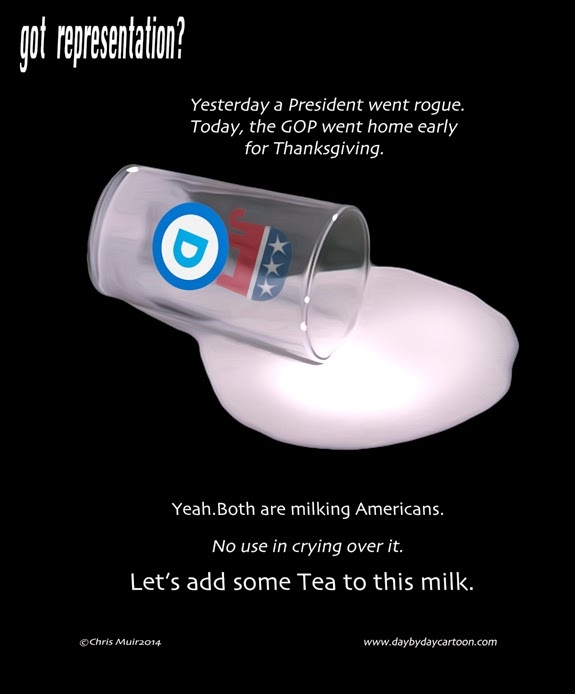 Landrieu can't get the support of her caucus, and it appears that she's got no clout with Obama either. In January, she'll be in the minority, with even less clout and support. So the question becomes, why do we need her in the Senate. It appears at almost Senate quitting time that Mary is till looking for that 14th vote. My math is simple, 45 Republicans are on board, then there's her, so there must be 14 more Democrats that back her. As I post this, she's having trouble getting that 15th vote. The Democrats really want to help her, don't they? That, all by itself, speaks volumes. I see in the news that the unions are still hammering Wal-Mart. You'd think by now they'd learn. They're plannning a strike on Black Friday to draw attention to .. I dunno... something. Higher wages, better benefits, the usual litany of complaints. Wal-Mart is in a bind, believe it or not, because of competition. They're a gigantic player in the retail box store business, and they've got to control costs just like everybody else. In this economy, it makes business sense to hire part-time help, and that's what Wal-Mart does, just like everyone else. However, when people talk about striking, I don't have much sympathy for them. Nurses, doctors, police, firefighters, EMT's, CNAs and all manner of people work around the clock, 24/7/365. Let's not forget the utility folks, who come out on Sunday when a squirrel trips your electricity, or the poor folks who repair utilities after a storm, or the guys who go in every single day to make sure that you have good drinking water and that your sewerage flows downhill. Yeah, it's hard for me to have much sympathy for striking Wal-Mart employees. And you know where sympathy falls in the dictionary. The guys over at this forum were talking about cannon projectiles, artillery, if you will, and trying to identify a common antique projectile. First, the caveat; these things might be dangerous. They were originally designed to hurt people or destroy materiel and they might explode. GIs of all stripes bring stuff home from their service, and we hope that when Grandad brought home that war relic, he didn't bring home something that might detonate and destroy the house. That having been said, lots of that stuff is totally inert and if you trust Grandpa, then whatever he left behind is probably safe. There is a thing in artillery called a shot cartridge. No, it's not a shotgun shell like we commonly hunt birds with, it's a solid metal projectile that is totally inert, but is supposed to punch a big hole through something. That big metal projectile is called shot, and are commonly used in track and field events across the world. A 12 pound shot is what "shot put" is all about, and early artillery was designated by the weight of the iron ball that would fit down the bore. A 12 pounder cannon fired a 12 pound ball. Like most GIs, PawPaw dragged home a relic, and it sits in my shop. Can you spot it? Many people don't. Most folks don't realize it is there, and when they do spot it, their eyes grow wide. What is that? 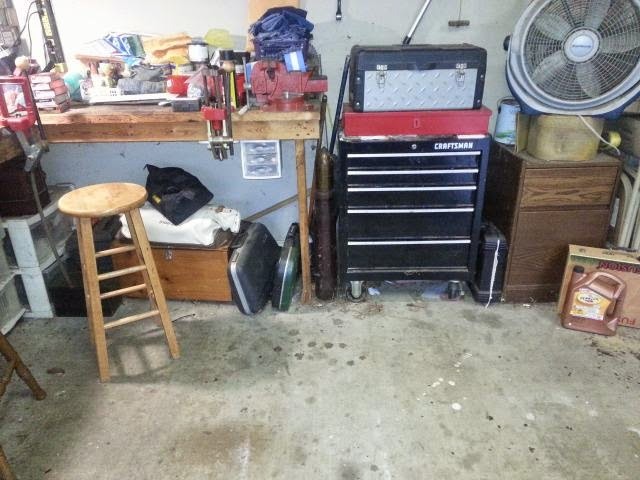 It sits beside my bench, near the tool box, and many visitors never see it there. I found the projectile during exercises, then had to scrounge around for the cartridge case, hen re-assembled it. I brought it to my Dad, who kept it near the kitchen table, next to the refrigerator. At some point I took possession, and no it resides in my shop. Here's a close-up. That, gentle reader, is a 90 mm shot cartridge, from the M48 Patton Tank. While that tank fired a number of explosive rounds, that particular reliv is a shot cartridge, used during training. It's inert, or I wouldn't have it in my shop where grand kids play. Yet, it amazed me how many visitors have never noticed it. 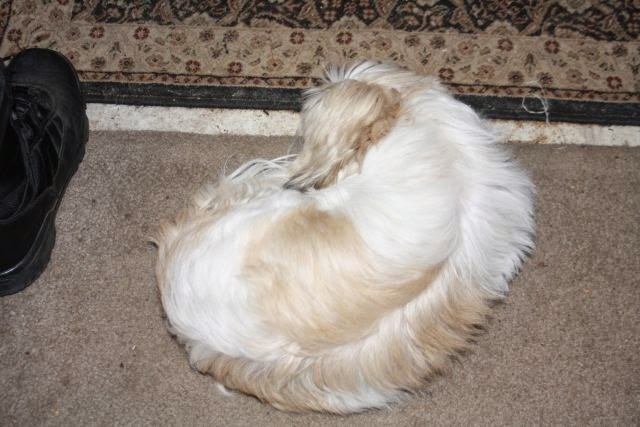 Wintry weather, and the dog likes staying inside. Today is cloudy and clammy, and it's a good day to be indoors. 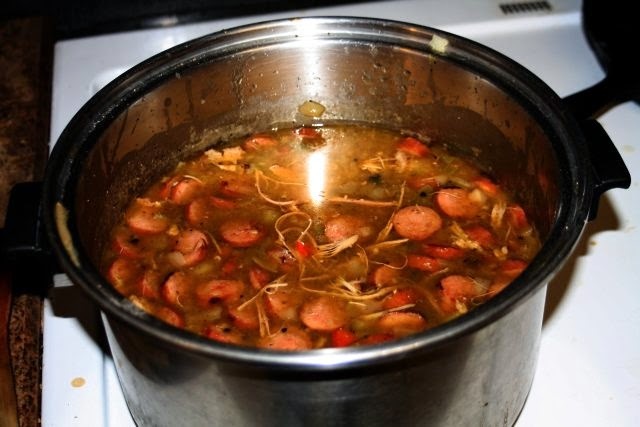 It's gumbo weather, and PawPaw is probably going to make a big chichen-and-sausage for lunch. I bought a new rifle this week. The fact that I buy a rifle occasionally is not news to my family, but this is something different for me, for two reasons. The first is that I bought it online. Buying a rifle online is new to me. I've never done that before, but it's not as easy as buying a pair of socks from Amazon. No, it takes the cooperation of a local dealer who has to agree to accept the shipment on your behalf, then when it comes in, the dealer calls you and you have to go to the store, fill our an ATF Form 4473, just like you bought it at the store. After the instant check passes, you get your rifle. Second, many folks don't consider this a rifle. But, the BATFE says it is a rifle. Even though it has nneither bolt, barrel, trigger, stock, nor even yet sights or operating controls. 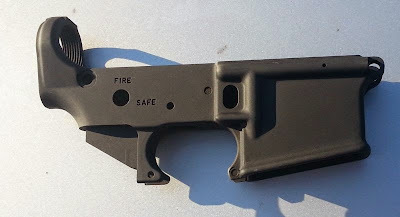 Just a simple casting that's been machined to take the parts, and By God, that's the rifle. Yeah, buddy, that's it. That is a rifle, according to the government. This spring I'll buy some parts and start putting it together. I'll make it like I want it, and it will be uniquely mine. This news broke yesterday afternoon, but it appears that the European Space Agency has landed a probe on a comet. Launched in 2004, the European Space Agency (Esa) mission hopes to learn about the origins of our Solar System. 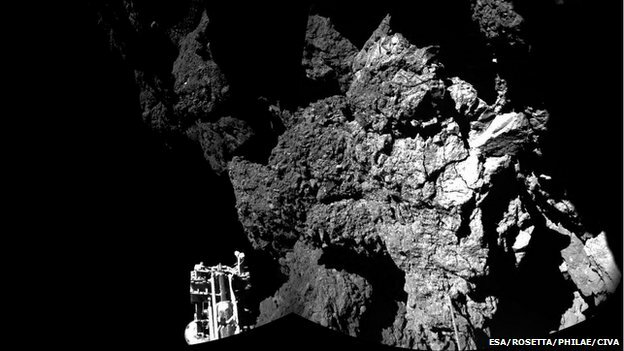 It has already sent back the first images ever taken on the surface of a comet. It's been traveling for 10 years, and they managed to land on a comet, and send back pictures. That's what the comet looks like, up close and personal. I was a child of the '60s and remember watching breathlessly as our astronauts pushed the boundaries of space out beyond the moon. Space travel is so freaking cool, and now mankind has landed a probe ON A COMET. Do you realize how cool that is? I am amazed, and in awe. It looks like the US Senate is ready to take up the Keystone XL pipeline that President OBama has refused to approve, just in time to save Mary Landrieu's senate seat. Senate Democrats are working on plans to hold a vote authorizing construction of the Keystone XL pipeline -- approval that Democrats believe might bolster the chances of Sen. Mary Landrieu (D-La. ), who faces a tough runoff election next month. Good luck with that ploy. Evidently the rest of the nation thinks that Louisiana voters can't see through a blatantly political ploy. It doesn't matter at this point. We're going to get the pipeline, and Louisiana will have a seat on the Energy committee, and at this point the only question is whether we'll have a majority seat, or a minority seat. So, it doesn't matter. Keystone has almost nothing to do with the upcoming election. Really, in the minds of lots of voters, Keystone isn't an issue, because we know it's coming, it's simply a matter of when it's coming. Keystone, while an important project, is not the deciding factor in this race. Mary Landrieu herself is the deciding factor in this race. Back in 2008, Mary's last race, when Barack Obama was running his first race and the Democratic party was its strongest, Mary Landrieu won re-election with a stunning 52% of the electorate. This was for her third term, and she's never gotten over 52% of the electorate behind her. No, Mary Landrieu is in a bind because she's Mary Landrieu. She's forgotten who she works for. She doesn't live in Louisiana. She might hail from the Gret Stet, but she doesn't live here. We certainly know her name, and her family has a long history of elective office in this state, but Mary has moved on. At the polls last week, I voted my conscience. 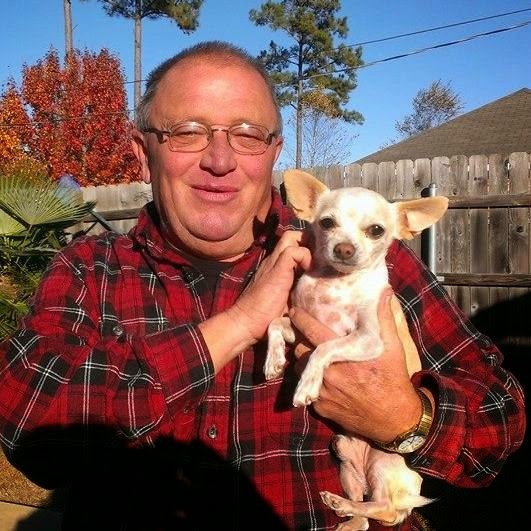 My candidate didn't win, although I believe that he did very well for a political newcomer, and I believe that he has a great future in Louisiana. On December 6th, I'm voting against Mary Landrieu. I'm betting that a sizable majority of Louisiana will vote against her as well. 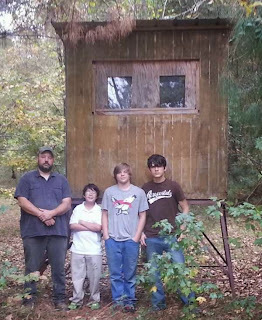 Today we moved my box stand to the family property. One son, two grandsons, and a family friend. Now, I'm set for deer season. 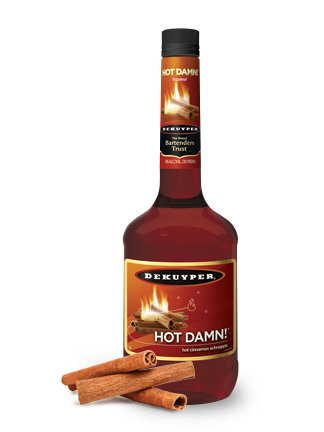 Back in my younger days, I used to enjoy a shot of DeKuyper's Hot Damn! schnapps occasionally. Around a fire in the woods, that liqueur put a little fire in your belly and the taste of cinnamon in your mouth. Not bad at all. 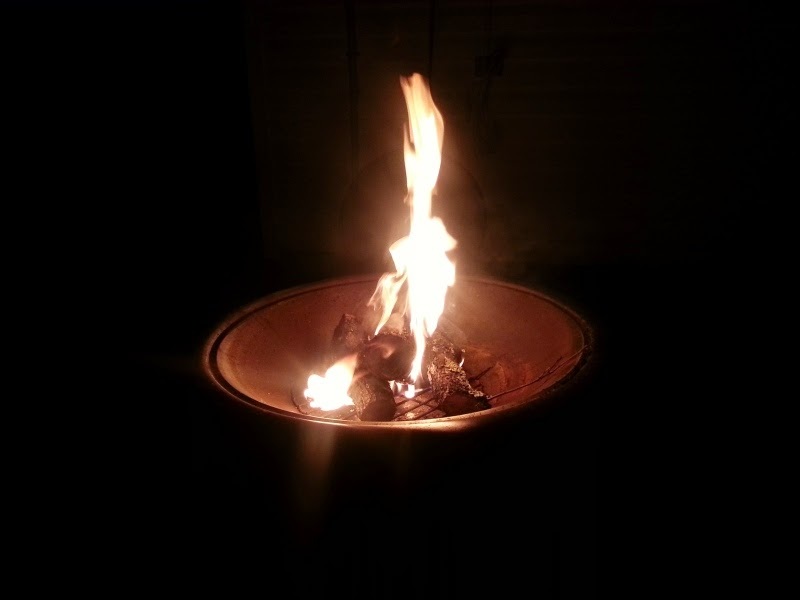 With the fire pit installed, I mentioned to Milady that I used to enjoy a shot of Hot Damn! while sitting around a fire, and she told me "I like Hot Damn! too, during the winter." So, today on the way home I stopped by the grocers ad picked up a bottle. I've been hanging out with that woman since 2001 and I never knew she liked Hot Damn! She never ceases to surprise me. We may have to share a shot around the fire before long. Not tonight though, I have to go back to work in about an hour. Today is the birthday of the US Marine Corps, formed in a tavern in Philadelphia. Happy Birthday, Marines. Today is also the anniversary of the loss of the Edmund Fitzgerald, a Great Lakes freighter lost in a storm in 1975 with all hands. It was a very sad day for mariners. Gordon Lightfoot compounded the sadness when he sang a song about the tragedy. PawPaw is busier than a cat in a sandbox today. Tomorrow is my day, and I'll hoist a glass tomorrow. After installing the kerosene lantern on the porch yesterday, I found that I had no fuel for it, so today when I was at Lowes, I went looking for kerosene, and found a small container. 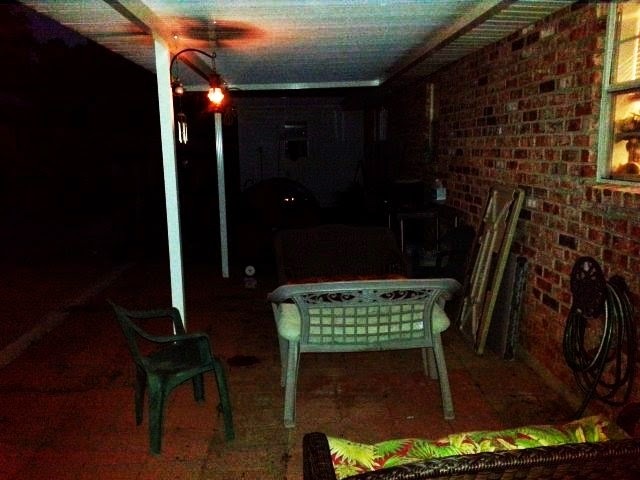 So tonight about dark, I lit it to see how it illuminates that end of the porch. I think it casts a lovely glow. Nineteenth century technology has a lot going for it. 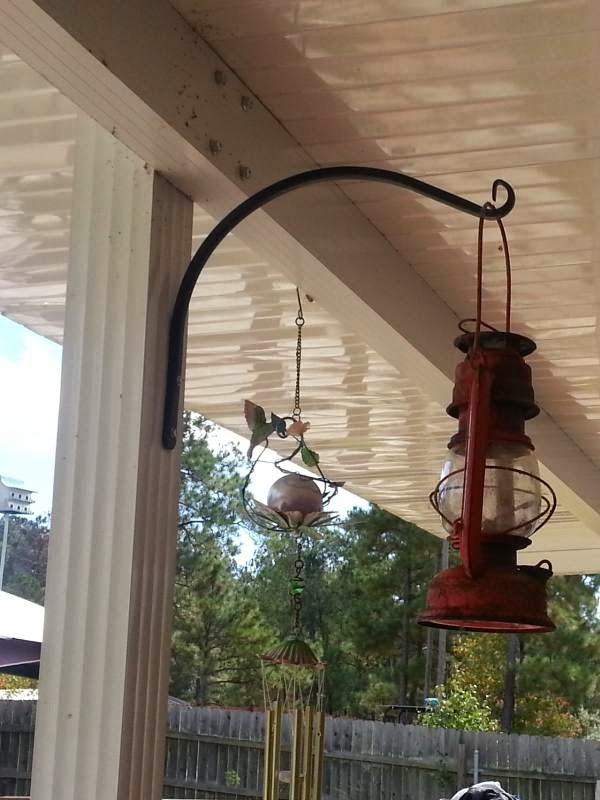 Now, I need another lantern for the far end of the porch. 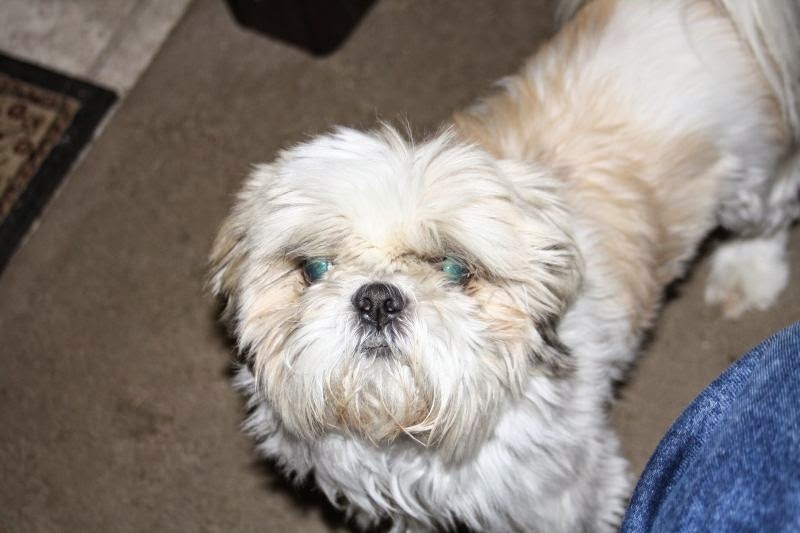 The dog didn't get a trim this week, life intruded on our spare time. We'll try to get that done next week. 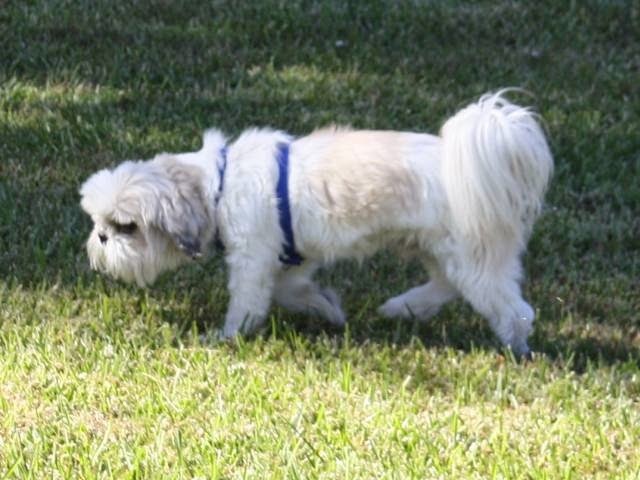 The dog is pleased that the grass seems to have quit growing. It's finally autumn in these climes and we're enjoying being outside. It's good to be a fuzzy dog when the temps are cool. Y'all go enjoy the outdoors today. Busy Saturday morning around here. We found a leak on the pool pump so I took that apart this morning, found a worn 0-ring, and went to look for a replacement. No joy on the 0-ring, so we'll wait until Monday when the pool shop is open. Then,I started carpentering a roof for my deer stand. It should have been up on the family land in September, but life intruded on the project and the deer stand is still disassembled in my side lot. We plan to install it on Tuesday, Veterans Day, and I'm ready to do that now. It's got a new roof and it's ready to assemble. Finally, some brackets to hang kerosene lanterns on the patio, for ambiance. They should cast a gentle glow and give that end of the patio some much needed light. I put up tools, looked at my watch, and it was just 12:30. Not a bad morning's work. So, this morning I've done plumbing, carpentry, and metal work. Not bad for a Saturday's projects and I think I'll take the rest of the day off. Maybe harass Milady. First fire in the fire pit I recently installed. From Hope n' Change Cartoons.. The primary is over, here in Louisiana, and the Republicans nationwide have done well. The map is a lot redder than it was on Monday, and the Democrats (and frankly, everyone else) is trying to figure out what it all means. PawPaw has been surfing around, reading the internets, and today comes to the New York Times, who has a good editorial on the issue, and one line resonated for me. Our election night survey showed that 42 percent chose their Senate candidate because they hated the opponent more. One pre-election poll had over 70 percent willing to throw everyone out and start fresh. That about sums it up for me. My candidate lost Tuesday night, and now I'm faced with a choice, seemingly between Beelzebub and The Devil herself. So, I"ll hold my nose and vote for Cassidy, simply because I detest Landrieu. Dr. Cassidy shouldn't take my vote as assurance that I have any confidence that he'll represent me, nor as an indication that I believe he's a good pick. He's simply the less onerous of two bad picks. We did pitch our lip-locking congressman, Vance McAllister, the rookie who ran on a family-values ticket and thoroughly embarrassed us all when he got caught swapping slobber with a staffer. Eight folks, including our congressman were in the field, and we rejected McAllister thoroughly. The lesson here is simple: we'll reject a popularly elected politician who embarrasses us, regardless of political party. Now, we've got a runoff between two yahoos I've never heard of. It's time to do my research. Winchester used to make shotguns, very fine shotguns, like this Model 21 on sale at Collector's Firearms. Their "everyman's shotgun" was the Model 12, a pump action repeater that became the iconic pump shotgun of the early part of the 20th century. 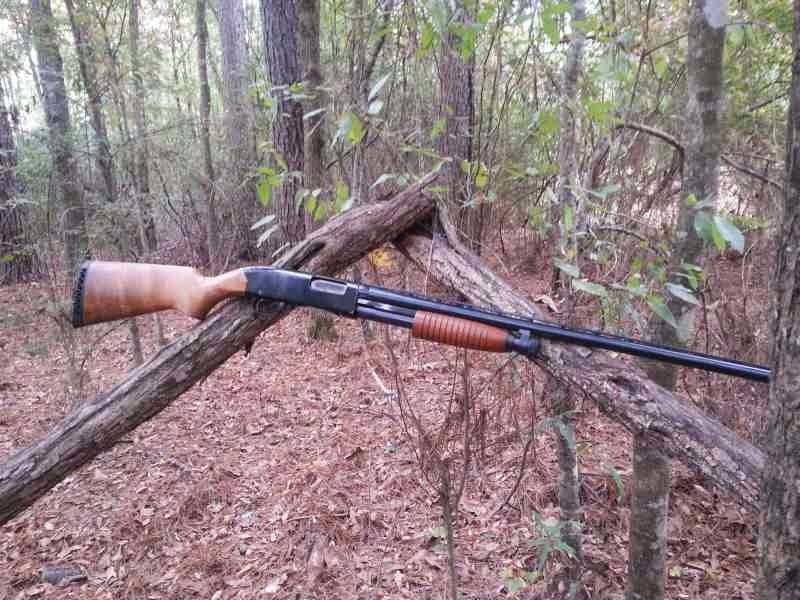 My dad and grand-dad both had Model 12's and my younger son has my Dad's shotgun now. In 1963, Winchester stopped production fo the Model 12, and in 1964 came out with the Model 1200, the successor. That shotgun had an aluminum receiver and a rotating bolt that unlocked during recoil, making it very fast for follow-up shots. It competed with the Remington Model 870, and many gunners liked the steel receiver of the Model 870, so the Model 1200 languished and was replaced by the Model 1300 in 1983 when US Repeating Arms Company took over manufacture of guns under the Winchester name. The 1300 was produced until 2006, when USRAC went bankrupt. In the late '70s my family began rabbit hunting with beagles and I wanted something that lighter to lug through the woods than my old duck gun. A 20 gauge seemed particularly attractive, and one day I was in a box store and saw a familiar pump shotgun on the shelf. The price was particularly nice and I dropped my money, as I recall, under $100.00 for a brand new 20 gauge shotgun. It was a Winchester 120, a budget version of the 1200, with birch stocks and a plain corncob forearm. It came with a brand-new accessory, the WinChoke, which was a screw-in shcoke that let you shoot one gun for every game. Full choke for ducks or scratching a squirrel out of a tall pine. Modified for general tasks, and Improved Cylinder for the dove fields. Nowadaus, screw-in chokes are standard on nearly every shotgun, but back in those days, it was quite an innovation and I was the buzz of the camp when I showed up with a shotgun that had screw-in chokes. It's not particularly light, at 7.5 pounds, and it's not short, at 49 inches, but it swings well, and more importantly, it fits me. When I shoulder the gun, I'm looking right down the vent rib at the front bead. I shoot it effortlessly. Since 1976, it's been my upland shotgun of choice. It's accounted for bushels of squirrels, pickup loads of rabbits, the occasional wood duck and the odd woodcock that sprang up before me. For a gun that's been used for almost 40 years, it seems to be holding up well, and if you ever see me in the upland game fields, the old Model 1200 is the shotgun I'll likely be carrying. 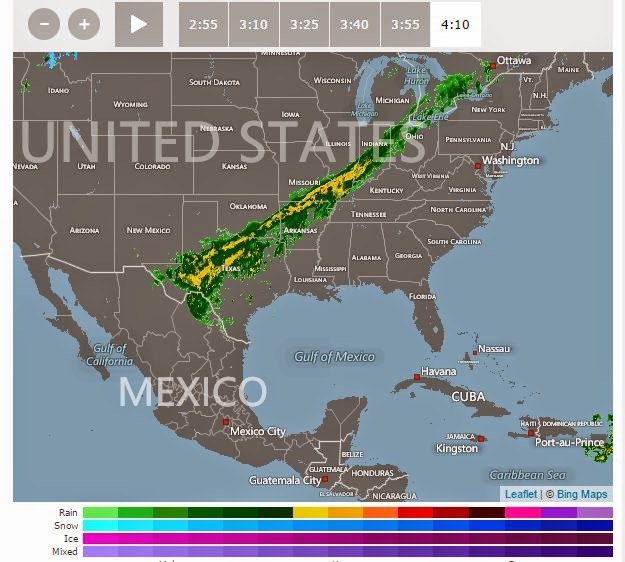 Look at this front, it runs from Chihuahua, Mexico to Ottawa, Canada. Of course, it runs all the way across the United States. That's one hell of a front line, and not something we see every day. 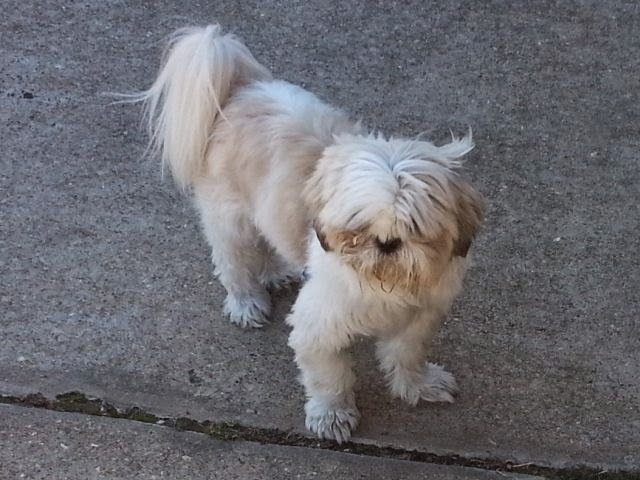 Milady will be home in a few minutes, and we're going to the polls, vote, and head to Brother Bill's for some Catfish Atchafalaya. If you haven't voted yet, make plans to get to the polls. It's important. Do your duty. Go vote. The brown truck of happiness came today with an order I've been expecting. I've been a big fan of corded drills, and have a couple of them that I really like, but recently I've been convinced that a cordless portable drill is handy for a great deal of tasks. But, I wanted a good one, and I did some research, both online and talking to guys who use tools every day. One name kept popping up, DeWalt. Evidently, they make pretty good tools. 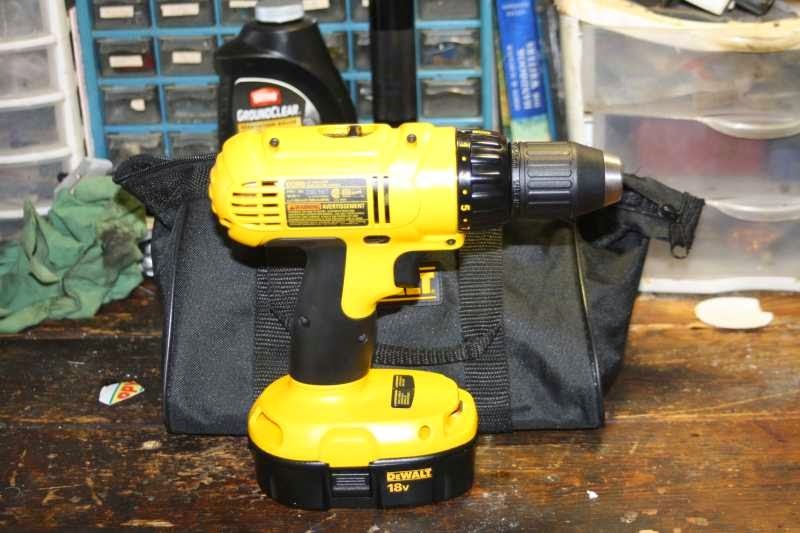 So, I looked at them in the box stores, then started looking online, and I found this little darling, the DeWalt DC970K-2 18-Volt Drill/Driver Kit. It comes with the drill/driver, two batteries, a charger, and a nylon carry bag. The bag is big enough that I can carry two bit sets in the bag with the drill. Of course, it was on sale at Amazon. When you can't get to an outlet, the idea of a cordless drill is very handy. Heck, for most small tasks, it's not worth it do drag out an extension cord. I've got a feeling that I'm going to like this drill a lot. I did something this morning that I haven't done in twelve or fifteen years. I went squirrel hunting. I had to put up my deer feeder o the family land, and I took along my shotgun in case I saw a squirrel. 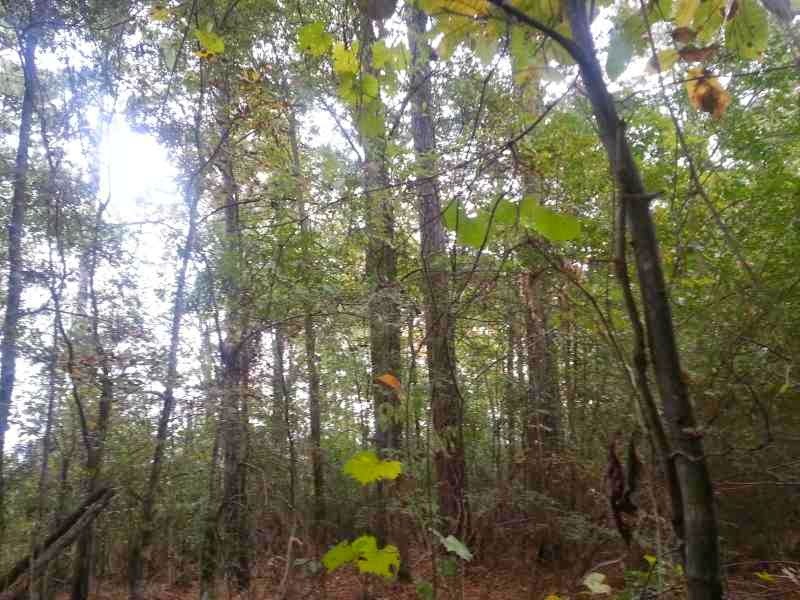 After the feeder was installed, I loaded the shotgun and sat down in the woods to see if my old eyes could still see a squirrel..
That's my idea of squirrel woods, mixed deciduous forest with a few pines sprinkled in, this is along the back of my family land. I spent about two hours there, listening to the woods, watching the wildlife, and feeling the stillness of a quite morning. I did see squirrels, two of them, a long ways off on neighboring property, so I didn't shoot, but I was gratified to learn that I could still see a squirrel in the tops of the trees. 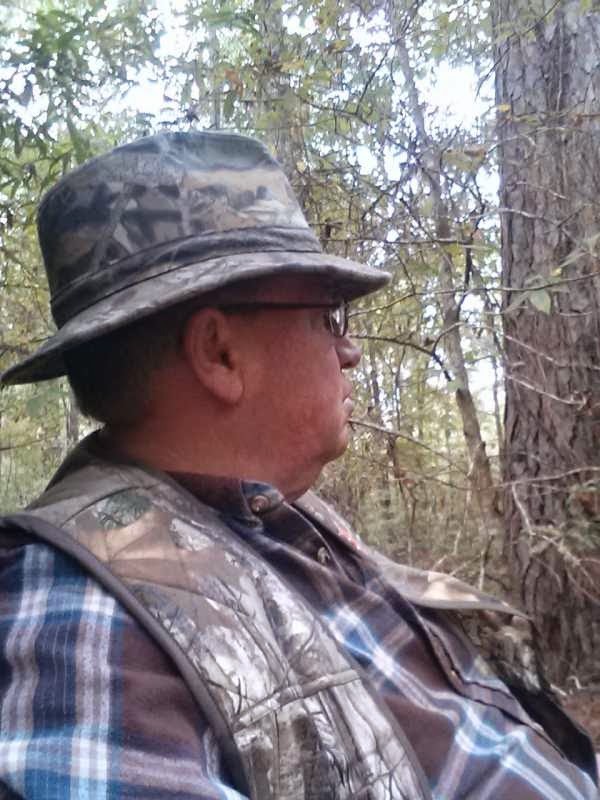 PawPaw in the squirrel woods. I'm not a big fan of camouflage., although I do like my hat. I guess that's too many years spend in camouflage when I was working for the Army. A flannel shirt suits me just fine when I'm squirrel hunting. The Weather Service tells me that w're getting another front tomorrow, and while I was in the woods, I heard a large flight of geese go overhead. I didn't see them for the clouds, but they seemed to be white geese (because of the ruckus they were making) and they were headed for the swamp to my north.About nine o'clock the wind picked up, waving the tops of the trees, so I decided to walk back to the truck and head home. I didn't kill a squirrel, but I don't have to clean any, either. I did get to spend a couple of hours in the woods, which suits me just fine. I note with some amusement, this article over at Hot Air that claims that states are leaving electronic voting machines in droves. The author, Buzz Shaw, is fairly skeptical, because he can't find any list of states that are switching. The major question I have about this report is the lack of specific examples. I’ve heard of a number of states who were discussing it (which was actually already in full swing back in 2008) but a detailed list of those who officially made the move seems hard to come by. The major deciding factor for making the switch, though, was a bit surprising to me. Many states using the new technology have machines which are a decade or more old and in need of updates or repair and they just don’t have the money for the upkeep. Conversely, the old mechanical lever machines like the ones we used in New York until well into the 2000s required only basic routine maintenance and checks and seemed to go on forever like the energizer bunny. When I began voting in the early '70s, Louisiana used the old mechanical machines, and at some time in the past we switched to the electronic machines, which I never trusted. It seems that those machines are susceptible to "calibration errors", like the machines recently in Chicago. The worst of the new machines are the ones without a paper trail, and they are still in use in places like Chicago. In Cook County, for example, one machine was found to be mysteriously changing Republican votes to the Democrat, though that was later found to just be a … *cough* calibration error. Fortunately, those types of machines seem to be in the minority. Yeah, that's what Louisiana uses, and what I'll be using tomorrow morning. Calibration errors indeed. That does wonders for my confidence in our electoral processes. One wag in the past said that when Louisiana switched from mechanical machines, to electronic machines, they sold all the mechanical machines to a small banana republic is South America. After the first national election, they found that Edwin Edwards had won by a landslide. Go Figure. Regardless of what kind of machine you use, go vote tomorrow. It's important. 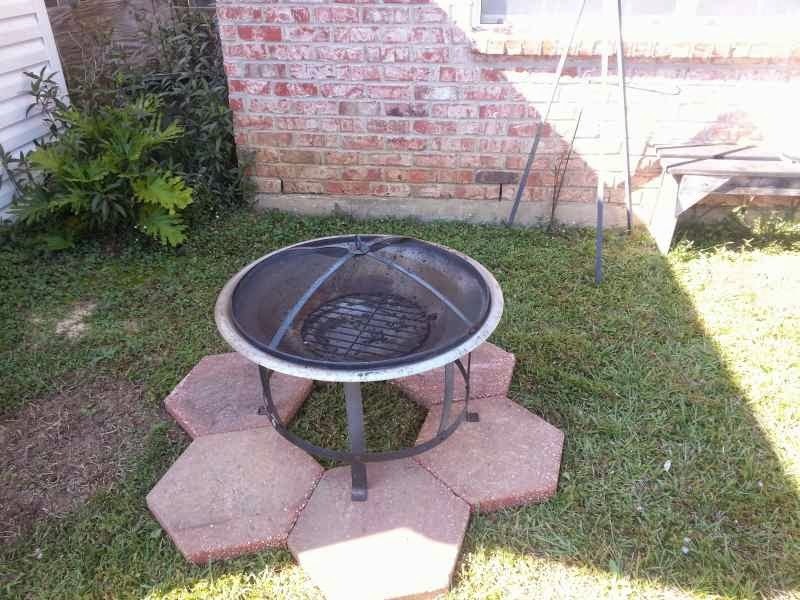 Several years ago, Milady bought me a fire pit for some occasion, I forget, and I appreciated it, but never installed it, thinking that I'd cogitate on it for a while to determine the best spot to integrate it into our back yard. I pondered mightily for several months, as projects progressed, and made a decision, but inertia got the best of me, and the installation languished. Last night we went to second-son's house for a gathering, and he built a fire int he back yard. We had fun sitting around the fire and telling stories, so I determined this morning that I had procrastinated enough, and installed the fire pit on some left-over pavers. We'll try it right there and see ow it goes. It's at the end of the patio in a grassy area. A couple of lawn chairs and we're set. I may decide to get one more of those hex pavers for the middle, or I might not. Maybe a good sand bed in the middle would be nice. We'll see. I awoke this morning and realized I had forgotten to set my watch back. We're back to Central Standard Time for the next four months. We'll get more hours of sunlight in the morning, and less in the evening, which means that I'll get one hour less of daylight after I get home in the evening. So be it. I'll spend part of today re-setting the clocks that don't set themselves. I wonder how many people will show up early at the church this morning? 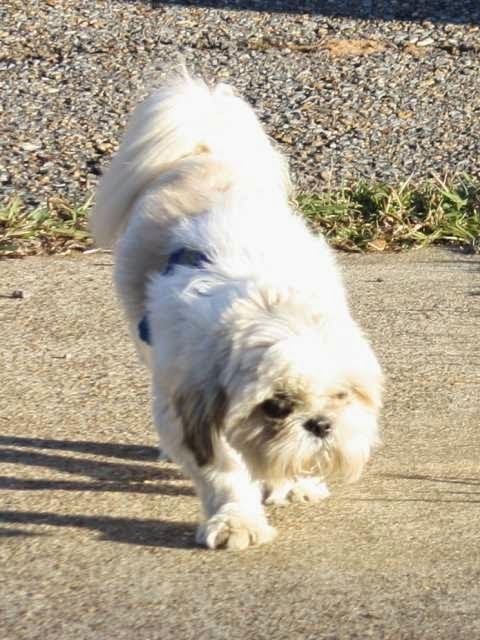 With temps in the 30's the dog is glad he's got a thick coat, and PawPaw will certainly wear a jacket to church this morning. This Sunday is the "fall-back" part of the time change, and I'm sure that some folks will be early for church. Of course, more of us rely on our cell phones for the time, and those things change automatically. 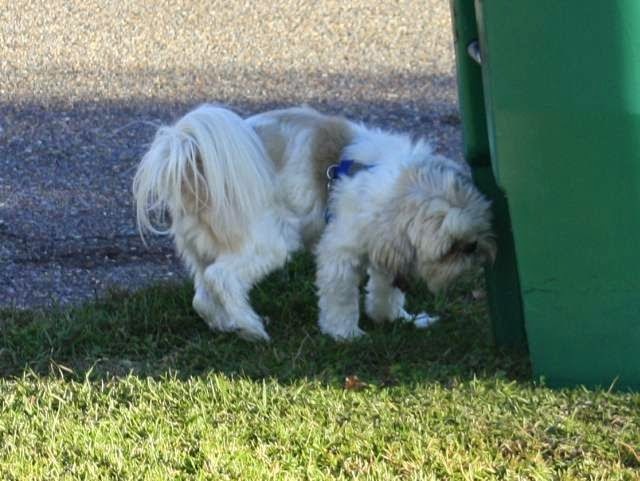 The dog, of course, is not worried about the time change, as much as he's interested in the smells in the ground near the trash container, but even that wears thin after a bit, and he heads back inside to where it's warm. Yeah, the sun feels good on a dog's back. Last night at the auction, I was browsing the tool table and noticed a familiar outline. A bullet mold, but what does it throw? A quick inspection reveled it to be a Lyman block, with handles, and it had a pistol bullet,cavity about .45 caliber. The blocks were dirty and I couldn't see the mold number, but I figured it was worth a chance. I told the auctioneer, who was standing nearby, that when the blocks got to his hands, I'd open at $25.00. Then, I was in a quandary. My eyes aren't calibrated to the thousandth, but I knew that the cavity was either a .44 or .45 caliber block and that the mold would throw a semi-wadcutter bullet with two lube grooves. I've got a .44, and I've got a couple of .45 ACP, but if the mold threw a bullet for the .45 Long Colt, I'd have a mold block with no pistol to match it. Still, at $25.00, I figured it would be a good deal, and I could use it for trading material. Later, when the auctioneer cane to the tool table, he picked up the mold and announced, "I've got a twenty-five dollar opening bid on this bullet mold." Nobody said a word. "Going once, going twice, third and final offer.... Sold for twenty five dollars." He handed me the blocks. I found a rag and started looking for the mold number under a decade of bench dust. 452460. 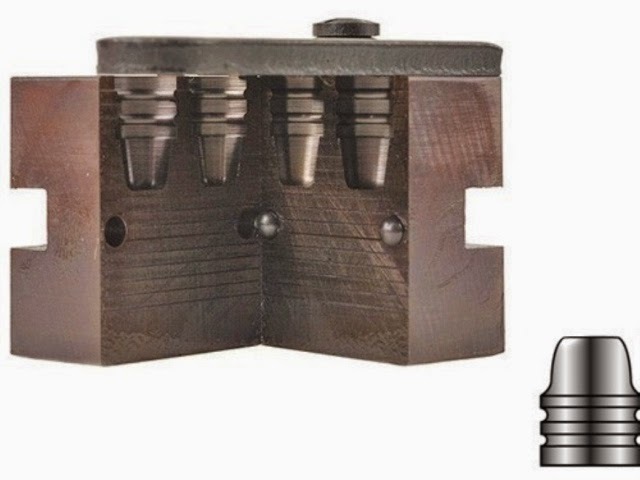 I quick Google on my phone revealed tbe mold to be a semiwadcutter for the .45ACP, a 200 grain bullet. Well, heck. That looks like a nice bullet, and I've got a couple of 1911s that might shoot very well with that bullet. Some of the usual forums tell me that with 4.0 grains of Bullseye, that bullet cuts a nice round hole, and often throws them in a single, ragged hole. We'll have to see about that. MidwayUSA sells that same block for $71.99 and the handles for $36.99, At an opening bid of $25.00, I probably did okay.